We have special offers available on tickets for The 7 Fingers: Traces. French-Canadian dance circus troupe The 7 Fingers (Les 7 Doigts de la Main) returns to Sadler's Wells' Peacock Theatre with Traces, a big hit at the Edinburgh Festival in 2007 and staged here at the Peacock six years ago. 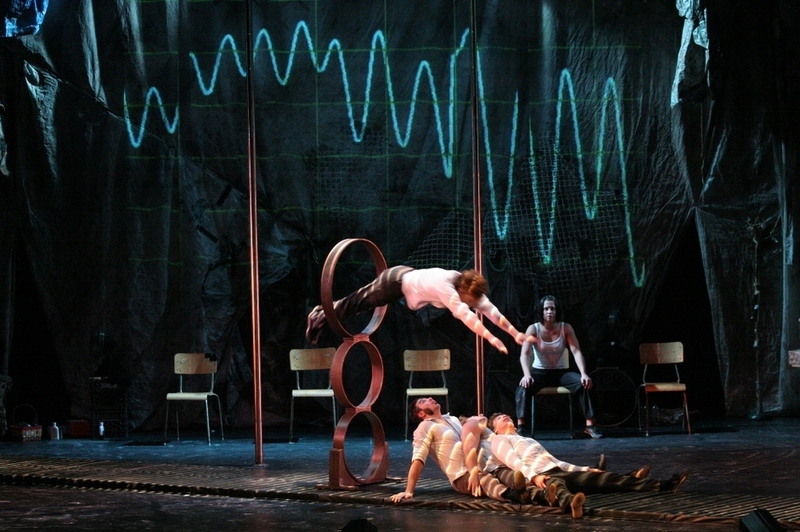 All seven of the founder members hail from the Cirque du Soleil and the troupe's expertise on the trapeze, in knife throwing, juggling, Chinese poles, German wheels and aerial ropes are not just impressive displays of physical control but also a vehicle for giving us an insight into the performers' real lives. What are the best dining options near The 7 Fingers: Traces London? The 7 Fingers: Traces gyms, sporting activities, health & beauty and fitness. The best pubs near London The 7 Fingers: Traces. The 7 Fingers: Traces clubs, bars, cabaret nights, casinos and interesting nightlife. Where to have your meeting, conference, exhibition, private dining or training course near The 7 Fingers: Traces. From cheap budget places to stay to luxury 5 star suites see our discounts for Peacock Theatre hotels, including ME London from 0% off.